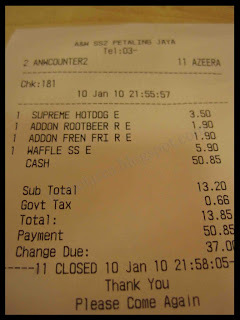 p/s : expensive this receipt? 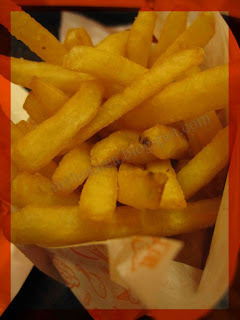 is no more go far to AMcorp Mall to have it. 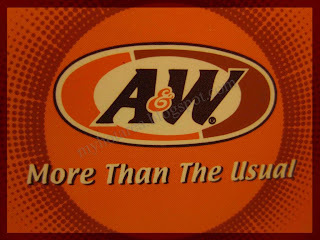 dah lama tak pi a&w...rootbeer dia best..
@eyriqazz pigi la..minum sepuas puas..kekeke..
i ate a&w last Christmas after 20 years didn't eat it! 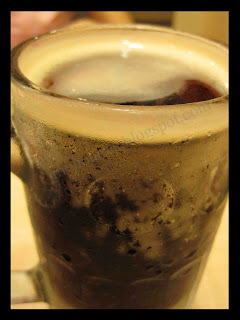 miss the root beer so much but quite disappointed with the size of the serving of the food. dont you think it is tiny? 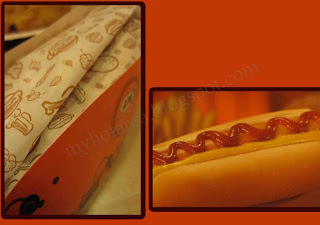 @purplelady erm,i agree to u in the size of serving food is tiny compare to Carl's junior...but it jus another try food on mine size here...do you thk so? 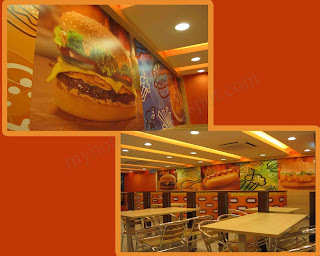 @kelvin come to johor there have ur A&w meal la...keke..mayb city square there have one..
@azizi erm, not yet tried..or else u go try on it..tell me the taste on ur nearest branch there..
wakakkakaa i just dine in last week and took some picture but haven post..
WTF NOW ONLY THEY OPEN?! T__T I used to study nearby.. now i am no more studying there.. but NOW ONLY THEY OPEN!!! So sad! 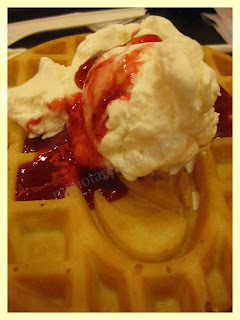 @wen Pink ....keke..come visit here again la..ma can eat lor..